So you've seen Disney's new live-action Beauty and the Beast, and you need more Belle and Beast in your life. 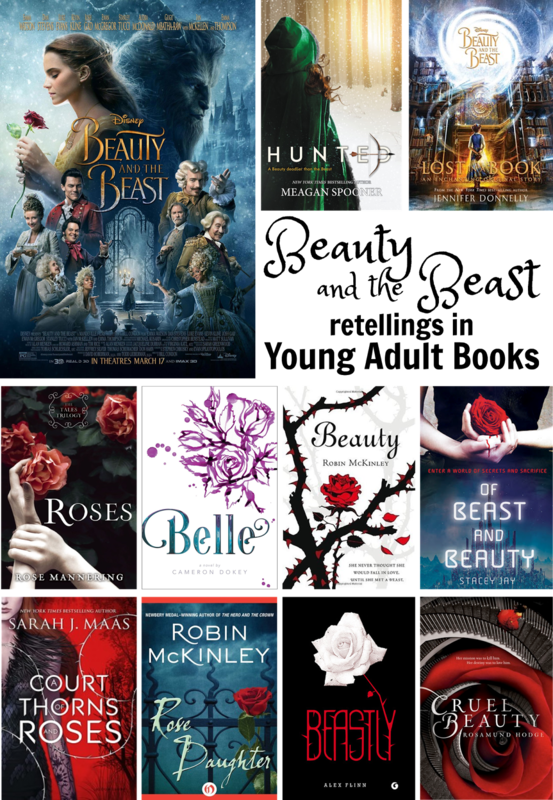 Never fear, we've gathered ten YA adaptations of your current favorite fairy tale so that you can stave off the Beauty and the Beast withdrawal. This brand new fairy tale retelling by one-half of the These Broken Stars author duo, is about a girl who longs for the quiet and solitude of the hunt and the forest. When her father falls into financial ruin, her desire is realized and it leads to her destiny. I hadn't read any of Disney's new novels inspired by their classic films, but this one seemed like a good place to start. I love Jennifer Donnelly's writing, and the Beast's library is one of my favorite parts of the story. This is the classic story set in a rich world cloaked in political turmoil. In a kingdom where magic is feared, a young girl is born with pale skin and silver hair. Cruelly given the misnomer Beauty, the girl grows into a woman who is inseparably connected to the fate of her world. This retelling was first published in 2008, but it got a whole new package design just in time for the Beauty and the Beast fervor. Belle, feeling her name is a misnomer, devotes her time to wood carving. When she faces the Beast, this talent unlocks their future. Robin McKinley's book is the retelling classic of this bunch. First published in 1993, I feel like Beauty set the standard for fairy tale retellings over the several decades. This is the science fiction retelling of the bunch. Set on a futuristic, distant planet, Stacey Jay created a dark fairy tale about a dying world, the monsters that inhabit it, and the princess meant to save it. Sarah J. Maas's Beauty and the Beast retelling is a fairy tale with feral faeries. Feyre is imprisoned by Tamlin, the High Lord of the Spring Court, when she kills a faerie. This dark faerie tale is hugely beloved by many YA readers. Twenty years after she published Beauty, Robin McKinley returned to the Beauty and the Beast fairy tale in Rose Daughter. I love seeing what an author can do with a fairy tale, and Robin McKinley's ability to write two gorgeous retellings of this tale is remarkable. Alex Flinn is the queen of contemporary fairy tale retellings. Beastly is set in New York City and told from the Beast's perspective as he struggles to break the curse cast on him by a witch in his English class. Cruel Beauty is Beauty and the Beast meets Greek mythology. Set in the cursed kingdom of Arcadia, Nyx was raised knowing she must marry The Gentle Lord and then assassinate him and free the land. The Gentle Lord, however, is not what Nyx expected.